bus 5, 10, 10A, 10S, 12S, 16, 16A, 16B, 17, 36C, 73, 73A, 73B, 203, M9. 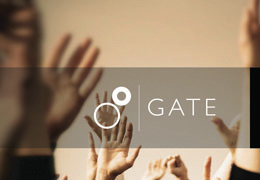 Gate Church International is an established local church, close to the university, with a large number of international members. At Gate Church we want to help you encounter God and grow in Him, whilst building strong friendships with other twenties and teens within our church. Our Sunday services are informal and welcoming and include worship followed by a short time of teaching. We often finish with some more worship or a time where people can receive prayer. Our worship can be loud and lively, while maintaining reverence for God. Our service takes place at 11am each Sunday.